This might seem like a random DIY project but I'm always on the search for cheap decor. And with fall starting tomorrow I've been adding pieces to my home that make you feel warm and cozy. 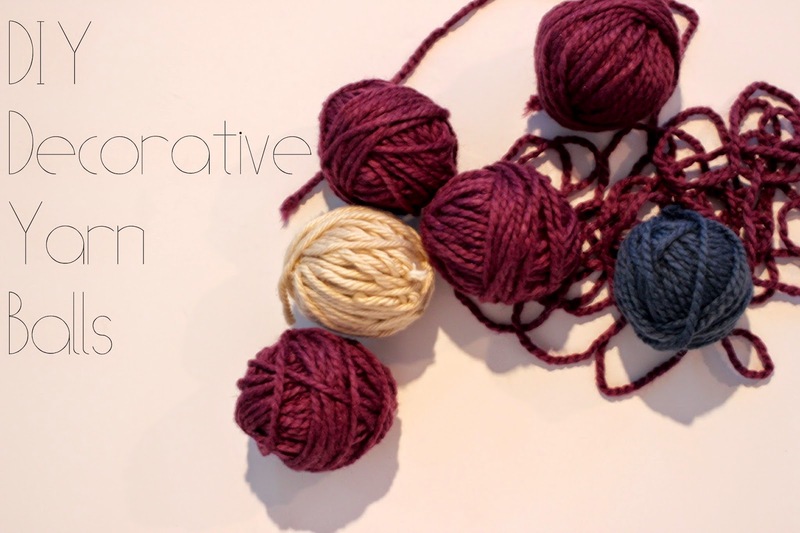 What's more cozy than some wool yarn! I've always loved the yarn balls they sell at Target but the price was ridiculous. 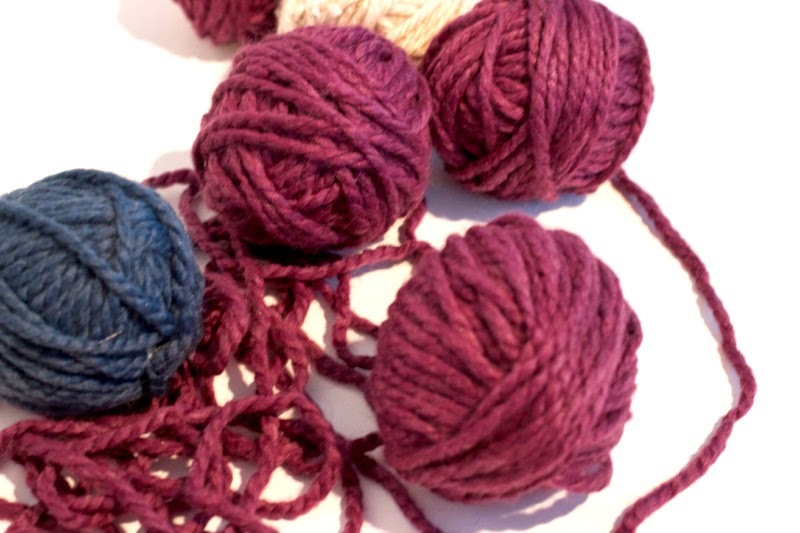 $4 for a yarn ball. So I put the Target yarn ball back on the shelf and headed to Michaels to grab the supplies to Taylor them myself. 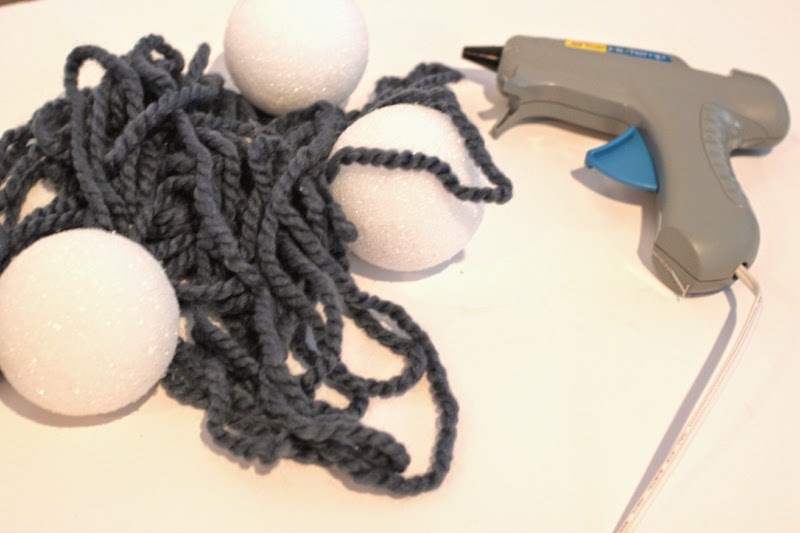 Grab your styrofoam ball and start wrapping. There is no need to glue down the first piece, it will stay stuck to the styrofoam easily. After doing several of these I've found that the best way to wrap is to work in sections. 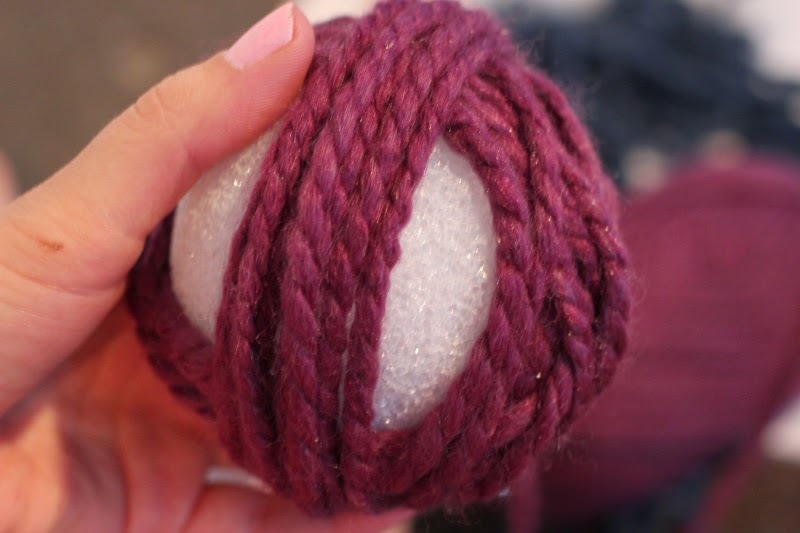 Wrap straight around until one "line" is completely covered, then slide your yarn slightly over and wrap until that "line" is covered. 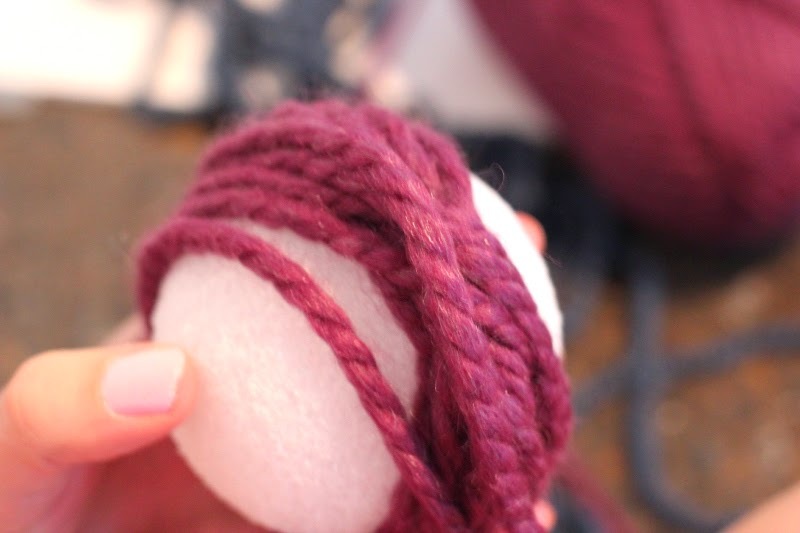 Once the ball is competely covered wrap a few times around randomly for a more natural look and then hold you last piece down with a dot of yarn. Now you're set to throw this is a bowl for some cozy, chic decor!